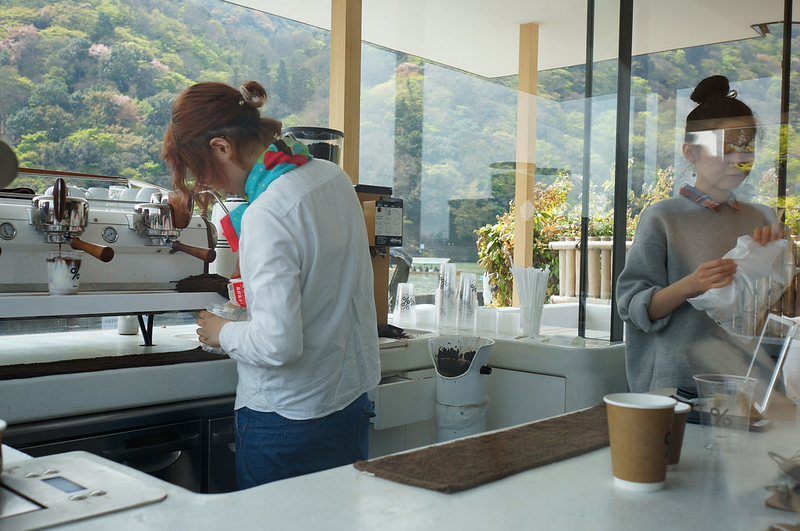 If you need a pick-me-up while exploring Arashiyama, head to this stylish and airy coffee shop on the banks of the Hozu-gawa River. The Arashiyama branch of Kyoto’s artisanal % Arabica chain occupies a superb position overlooking the Hozu-gawa River, just upstream from the Togetsu-kyo Bridge. The coffee is some of the best in the city and the location is great. There’s only a tiny outside sitting area, but that hardly matters when you can just carry your cup to the riverside and enjoy it while watching the boats float by. In case you’re wondering, the name is pronounced ‘Percent Arabica’. There are two other Arabica branches in Kyoto – % Arabica Higashiyama and % Arabica Fujii Daimaru. % Arabica Arashiyama is located in Kyoto’s Arashiyama district. See our complete list of things to do in Kyoto’s Arashiyama district, including places to eat, nightlife and places to stay.